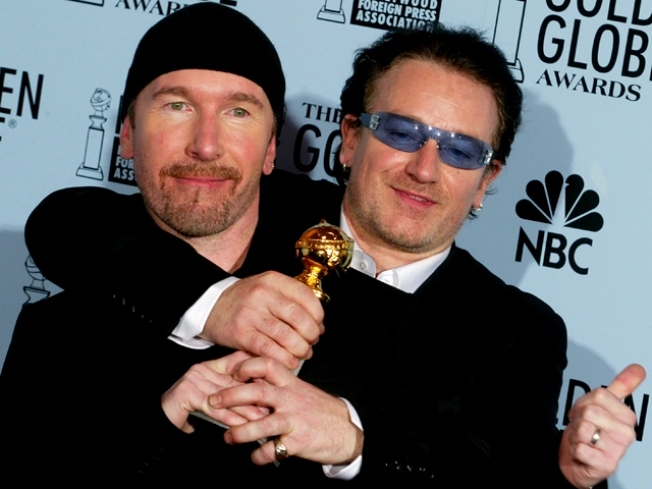 In 2003, U2 frontman Bono dropped the f-bomb when he received the award for Best Original Song - Motion Picture for Gangs of New York, saying "this is really, really f-ing brilliant." If money makes the world go round, then U2's latest tour, which is dubbed "360 Degrees," proves this saying true. The veteran act leads Billboard's 2010 Money Makers list, earning more than $108 million in 2009. Bruce Springsteen is second with $57 million and Madonna follows with $47 million. AC/DC and Britney Spears round out the top 5 with $43 and $38 million, respectively. Billboard compiles the list from monies earned through tours, CD and digital sales, publishing royalties and more. Madonna topped the list last year; Springsteen came in third. Both U2 and Madonna have touring deals with Live Nation.